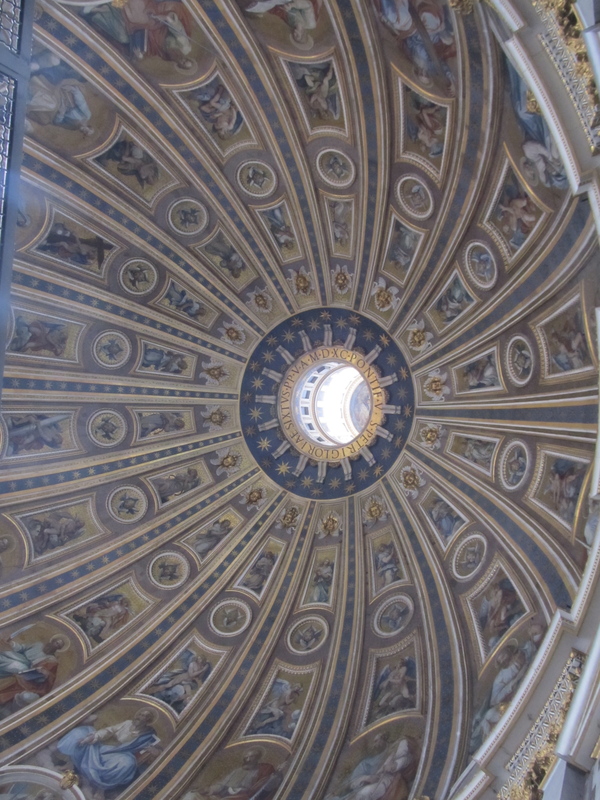 In the Vatican you can climb the dome of St. Peters. My grandparents had done this together forty years ago and we wanted to take the same picture as they had done that long ago. Electing to climb the first 300 steps let us skip a huge line. So we climbed and joined others at the roof below the dome where the elevator let off. This area was directly behind the statues that guard St. Peter’s square. These pieces were twice the size of life. 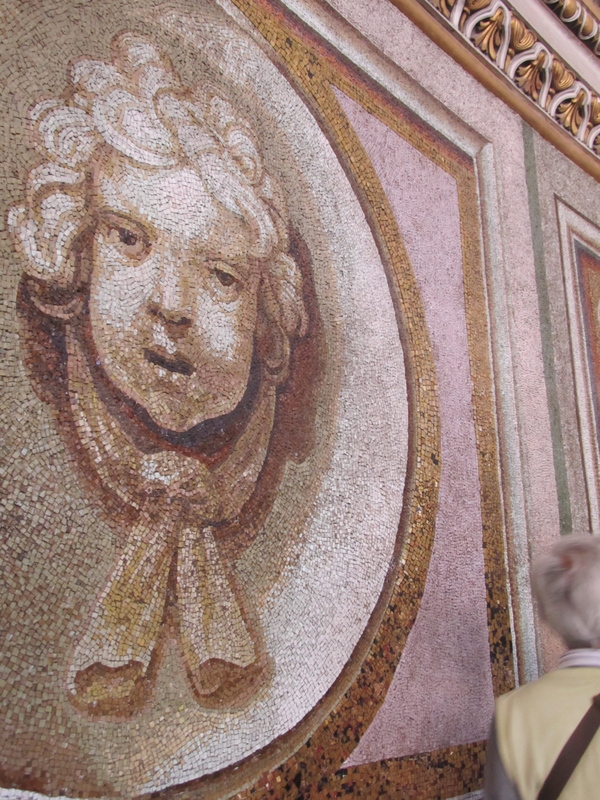 On the inside of the dome angel’s faces were 10’ tall and set in mosaics. In the Basilica earlier I hadn’t realized people we so far above us. The angel’s glances were startled, scared and we slipped in a thin door that led us upward on our continued journey. We walked in slated steps up the walls, hugging the interior dome as the hallway got skinnier. 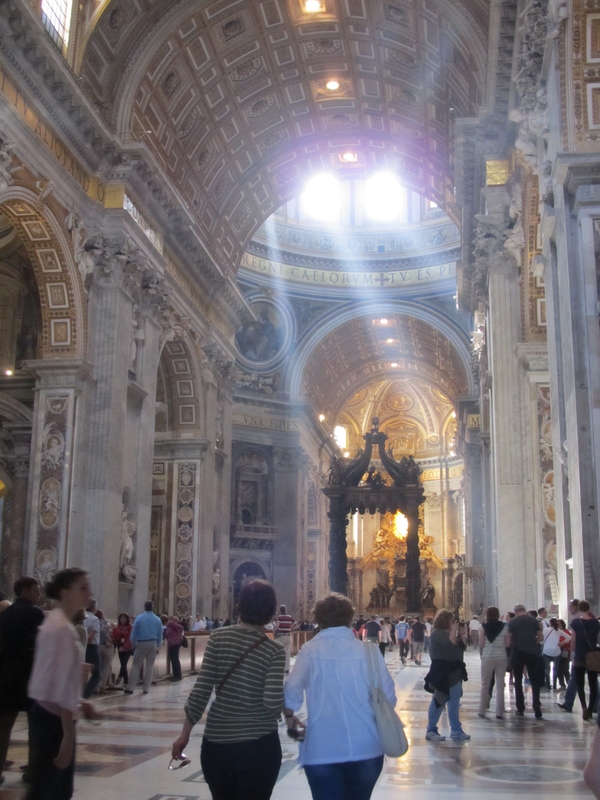 Finally it opens to the crowds of people vying for the same sight of Rome. The dome was even more beautiful, holding watch after our exit. Outside of the church we walked slowly around the square, following the colonnade, watching the sun set. Phil filmed us. Andy bought a rosary and a prayer card for a co-worker and we walked back into Roma down the long perpendicular street. Festivities for the canonization were gearing up as three million Polish people alone were traveling to this holy Catholic center as we were making our exit.